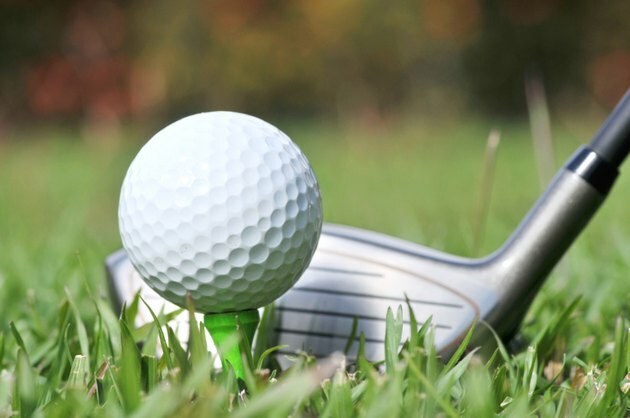 The United States Golf Association establishes the rules for golf, including the standards governing equipment. According to the association, golf drivers must conform to specific dimensions in terms of length, weight and head volume. Club materials are also restricted to avoid any undue advantage, such as an excessive spring effect. Illegal drivers create increased swing speed and greater distance. While all clubs used during USGA events must comply with association guidelines, some manufacturers knowingly produce non-conforming drivers for amateur weekend golfers. Many major companies make club models that are on the USGA's list of non-conforming drivers. The Bridgestone Sports Co. manufactures numerous illegal drivers, including the Tourstage V800, which produces lofts of 9 degrees and 11 degrees. On its sole, the Tourstage V800 possesses a curved line and a triangle logo for identification purposes. The back of the club also has a circular weight insert. One of the biggest names in golf club manufacturing, Callaway caters to recreational golfers with a variety of non-conforming drivers from its Big Bertha and E.R.C. model lines. The Callaway Big Bertha 460 HT driver delivers a 13-degree loft. Diamond Tour Golf produces several illegal drivers in its Grand Hawk, Pit Viper and Turner lines. The Diamond Pit Viper PV/427 hits lofts of 8, 9, 10 and 11 degrees. Six small circles etched into the sole identify the non-conforming club from its legal variations. The Mizuno BlueFire driver delivers lofts of 8, 9, 10 and 11 degrees. The non-conforming model has “Mizuno BlueFire,” a line, and the model’s flame logo displayed on the club’s sole. Other Mizuno illegal drivers include the Grand Monarch Royal Cresta, Intage X3, JPX E300 and Presage Navigator. The official equipment manufacturer for golf superstar Tiger Woods, Nike, makes illegal drivers such as the X-Face, Ignite and SQ. The Nike Ignite+460 leads the way, capable of yielding lofts of 9.5 and 10.5 degrees. Examining the Ignite+460’s club face determines its legality. The non-conforming version of the driver has a small “460” etched into the top left corner of the face followed by a + sign. The legal Ignite+460 does not have the + sign. Taylor Made, another manufacturer with multiple non-conforming clubs, produces the R510 driver, which can create lofts of 7.5, 8.5, 9.5 and 10.5 degrees. Inspection of the club head will provide identification. The illegal Taylor Made R510 drivers have no etched score marks in the center of its club face.